The screening of Julien Temple‘s new film The Clash: New Year’s Day 1977 at New Year put the spotlight on a video format dear to our hearts. Parts of the film were taken from footage shot on EIAJ 1/2″ video tape while Temple was at film school. EIAJ, whose hey day was the late 1960s to late 1970s, was the world’s first ‘standardised’ video format. Certainly from our experience of transferring 1/2″ tapes and maintaining the playback machines, the tapes often shed and clog the tape heads. Ensuring the machines are operative is a pretty labour intensive job. 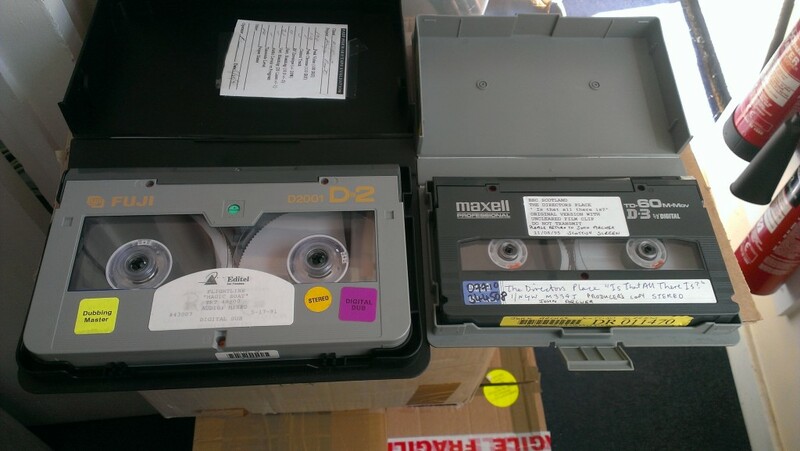 Check out a previous post on this site that discusses the issues with transfer of EIAJ video tapes. What is one person’s preservation nightmare can of course become part of the artist’s supreme vision. Does the cutting in of additional imperfection signal a kind-of fetishisation of the analogue video, a form of wanton nostalgia that enables only a self-referential wallowing on a time when things were gloriously a lot worse than they are now? Perhaps the corrupted image interrupts the enhanced definition and clarity of contemporary digital video. Indeed, Temple’s film demonstrates how visual perception is always produced by the transmission devices that playback moving images, sound and images, whether that be the 1/2″ video tape or the super HD television. It is reminder, in other words, that there are always other ways of seeing, and underlines how punk, as a mode of aesthetic address in this case, maintains its capacity to intervene into the business-as-usual ordering of reality. What to do with your 1/2″ video tapes? While Temple’s film was made to look worse than it could have been, EIAJ 1/2″ video tapes are most definitely a vulnerable format and action therefore needs to be taken if they are to be preserved effectively. 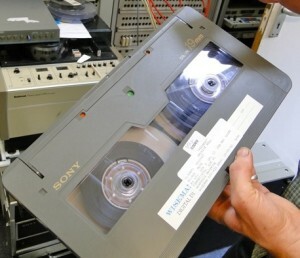 In a week where the British Library launched their Save Our Sounds campaign, which stated that ‘archival consensus internationally is that we have approximately 15 years in which to save our sound collections by digitising them before they become unreadable and are effectively lost,’ the same timeframes should be applied to magnetic tape-based video collections. So if your 1/2″ tapes are rotting in your shed as Temple’s Clash footage was, you know that you need to get in there, fish them out, and send them to us pronto! This article is inspired by a collection of DVCAM tapes sent in by London-based cultural heritage organisation Sweet Patootee. Below we will explore several issues that arise from the transfer of DVCAM tapes, one of the many Digital Video formats that emerged in the mid-1990s. A second article will follow soon which focuses on the content of the Sweet Patootee archive, which is a fascinating collection of video-taped oral histories of 1 World War veterans from the Caribbean. The main issue we want to explore below is the role error correction coding performs both in the composition of the digital video signal and during the preservation playback. We want to highlight this issue because it is often assumed that DVCAM, which first appeared on the market in 1996, is a fairly robust format. The work we have done to transfer tapes to digital files indicates that error correction coding is working overdrive to ensure we can see and hear these recordings. The implication is that DVCAM collections, and wider DV-based archives, should really be a preservation priority for institutions, organisations and individuals. Before we examine this in detail, let’s learn a bit about the technical aspects of error correction coding. Error correction coding is a staple part of audio and audio-visual digital media. It is of great important in the digital world of today where the higher volume of transmitted signals require greater degrees of compression, and therefore sophisticated error correction schemes, as this article argues. Error correction works through a process of prediction and calculation known as interpolation or concealment. It takes an estimation of the original recorded signal in order to re-construct parts of the data that have been corrupted. Corruption can occur due either to wear and tear, or insufficiencies in the original recorded signal. There are many different types of error correction, and ‘like CD-ROMs, DV uses Reed-Solomon (RS) error detection and correction coding. RS can correct localized errors, but seldom can reconstruct data damaged by a dropout of significant size (burst error),’ explains this wonderfully detailed article about DV video formats archived on web archive. To think that digital copies can, at times, exceed the quality of the original digital recording is both an astonishing and paradoxical proposition. After all we are talking about a recording that improves at the perceptual level, despite being compositionally damaged. It is important to remember that error correction coding cannot work miracles, and there are limits to what it can do. Dietrich Schüller and Albrecht Häfner argue in the International Association of Sound and Audiovisual Archives’s (IASA) Handling and Storage of Audio and Video Carriers (2014) that ‘a perfect, almost error free recording leaves more correction capacity to compensate for handling and ageing effects and, therefore, enhances the life expectancy.’ If a recording is made however ‘with a high error rate, then there is little capacity left to compensate for further errors’ (28-29). The bizarre thing about error-correction coding then is the appearance of clarity it can create. And if there are no other recordings to compare with the transferred file, it is really hard to know what the recorded signal is supposed to look and sound like were its errors not being corrected. When we watch the successfully migrated, error corrected file post-transfer, it matters little whether the original was damaged. If a clear signal is transmitted with high levels of error correction, the errors will not be transferred, only the clear image and sound. Contrast this with a damaged analogue tape it would be clearly discernible on playback. The plus point of analogue tape is they do degrade gracefully: it is possible to play back an analogue tape recording with real physical deterioration and still get surprisingly good results. The big challenge working with any digital recordings on magnetic tape is to know when a tape is in poor condition prior to playback. Often tape will look fine and, because of error correction, will sound fine too until it stops working entirely. How then did we know that the Sweet Patootee tapes were experiencing difficulties? Professional DV machines such as our DVC PRO have a warning function that flashes when the error-correction coding is working at heightened levels. With our first attempt to play back the tapes we noticed that regular sections on most of the tapes could not be fixed by error correction. The ingest software we use is designed to automatically retry sections of the tape with higher levels of data corruption until a signal can be retrieved. 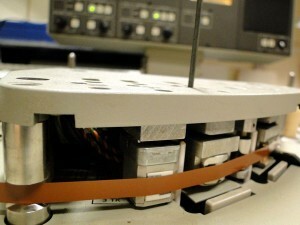 Imagine a process where a tape automatically goes through a playing-rewinding loop until the signal can be read. We were able to play back the tapes eventually, but the high level of error correction was concerning. As this diagram makes clear, around 25% of the recorded signal in DVCAM is composed of subcode data, error detection and error correction. It is not just the over-active error correction on DVCAMs that should send the alarm bells ringing. Alan Griffiths from Bristol Broadcast Engineering, a trained SONY engineer with over 40 years experience working in the television industry, told us that early DVCAM machines pose particular preservation challenges. The main problem here is that the ‘mechanisms are completely different’ for earlier DVCAM machines which means that there is ‘no guarantee’ they will play back effectively on later models. One possible solution to this problem, as with DAT tapes, is to ‘misalign’ the replay digital video tape recorder to match the misaligned recordings. However ‘adjustment of magnetic digital replay equipment to match misaligned recordings requires high levels of engineering expertise and equipment’ (2009; 72), and must therefore not be ‘tried at home,’ so to speak. Our experience with the Sweet Patootee tapes indicates that DVCAM tapes are a more fragile format than is commonly thought, particularly if your DVCAM collection was recorded on early machines. 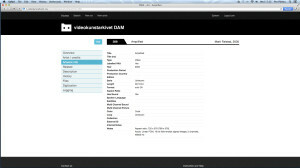 If you have a large collection of DVCAM tapes we strongly recommend that you begin to assess the contents and make plans to transfer them to digital files. As always, do get in touch if you need any advice to develop your plans for migration and preservation. 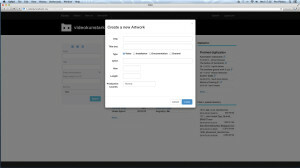 This post focuses on the problems that can arise with the transfer of Digital Audio Tapes (DATs). 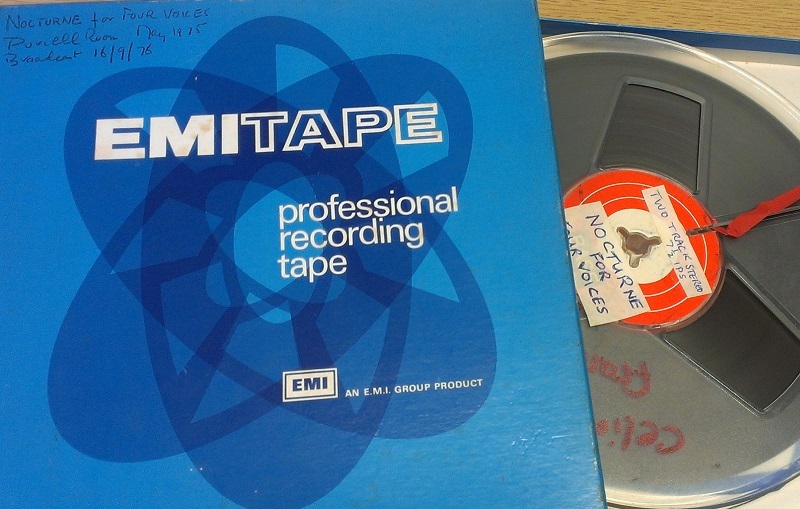 An immature recording method (digital) on a mature recording format (magnetic tape), the audio digital recording revolution was never going to get it right first time (although DATs were not of course the first digital recordings made on tape). Indeed, at a meeting of audio archivists held in 1995, there was a consensus even then that DAT was not, and would never be, a reliable archival medium. One participant stated: ‘we have tapes from 1949 that sound wonderful,’ and ‘we have tapes from 1989 that are shot to hell.’ And that was nearly twenty years ago! What chances do the tapes have now? Before we explore that, let’s have a little DAT history. SONY introduced Digital Audio Tapes (DATs) in 1987. At roughly half the size of an analogue cassette tape, DAT has the ability to record at higher, equal or lower sampling rates than a CD (48, 44.1 or 32 kHz sampling rate respectively) at 16 bit quantization. Although popular in Japan, DATs were never widely adopted by the majority of consumer market because they were more expensive than their analogue counterparts. They were however embraced in professional recording contexts, and in particular for recording live sound. It was recording industry paranoia, particularly in the US, that really sealed the fate of the format. With its threatening promise of perfect replication, DAT tapes were subject to an unsuccessful lobbying campaign by the Recording Industry Association of America (RIAA). RIAA saw DATs as the ultimate attack on copyright law and pressed to introduce the Digital Audio Recorder Copycode Act of 1987. This law recommended that each DAT machine had a ‘copycode’ chip installed that could detect whether prerecorded copyrighted music was being replicated. The method employed a notch filter that would subtly distort the quality of the copied recording, thus sabotaging acts of piracy tacitly enabled by the DAT medium. The law was however not passed, and compromises were made, although the US Audio Home Recording Act of 1992 imposed taxes on DAT machines and blank media. How did they do ‘dat? Like video tape recorders, DAT tapes use a rotating head and helical scan method to record data. The helical scan can, however, pose real problems for the preservation transfers of DAT tapes because it makes it difficult to splice the tape together if it becomes sticky and snaps during the tape wind. With analogue audiotape, which records information longitudinally, it is far more possible to splice the tape together and continue the transfer without risking irrevocable information loss. Our SONY PCM 7030 professional DAT machine, pictured opposite, has a ‘playback condition’ light that flashes if an error is present. On sections of the tape where quality is really bad the ‘mute’ light can flash to indicate that the error correction technology can’t fix the problem. In such cases drop outs are very audible. Most DAT machines did not have such a facility however, and you only knew there was a problem when you heard the glitchy-clickety-crackle during playback when, of course, it was too late do anything about it. The bad news for people with large, yet to be migrated DAT archives is that the format is ‘particularly susceptible to dropout. Digital audio dropout is caused by a non-uniform magnetic surface, or a malfunctioning tape deck. However, because the magnetically recorded information is in binary code, it results in a momentary loss of data and can produce a loud transient click or worse, muted audio, if the error correction scheme in the playback equipment cannot correct the error,’ the wonderfully informative A/V Artifact Atlas explains. Given the high density nature of digital recordings on narrow magnetic tape, even the smallest speck of dust can cause digital audio dropouts. Such errors can be very difficult to eliminate. 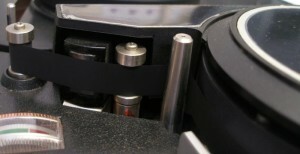 Cleaning playback heads and re-transferring is an option, but if the dropout was recorded at the source or the surface of tape is damaged, then the only way to treat irregularities is through applying audio restoration technologies, which may present a problem if you are concerned with maintaining the authenticity of the original recording. A big problem with DAT transfers is actually being able to play back the tapes, or what is known in the business as ‘DAT compatibility.’ In an ideal world, to get the most perfect transfer you would play back a tape on the same machine that it was originally recorded on. The chances of doing this are of course pretty slim. While you can play your average audio cassette tape on pretty much any tape machine, the same cannot be said for DAT tapes. Often recordings were made on misaligned machines. The only solution for playback is, Richard Hess suggests, to mis-adjust a working machine to match the alignment of the recording on the tape. As with any archival collection, if it is not stored in appropriate conditions then mould growth can develop. As mentioned above, DAT tapes are roughly half the size of the common audiocassette and the tape is thin and narrow. 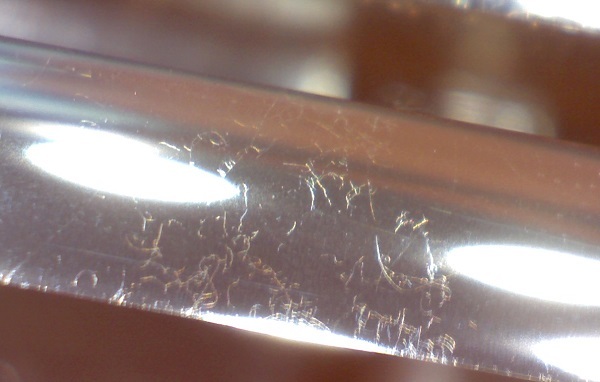 This makes them difficult to clean because they are mechanically fragile. Adapting a machine specifically for the purposes of cleaning, as we have done with our Studer machine, would be the most ideal solution. There is, however, not a massive amount of research and information about restoring mouldy DATs available online even though we are seeing more and more DAT tapes exhibiting this problem. 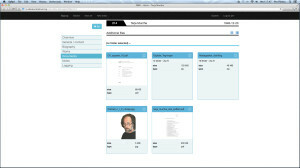 As with much of the work we do, the recommendation is to migrate your collections to digital files as soon as possible. But often it is a matter of priorities and budgets. From a technical point of view, DATs are a particularly vulnerable format. Machine obsolescence means that compared to their analogue counterparts, professional DAT machines will be increasingly hard to service in the long term. As detailed above, glitchy dropouts are almost inevitable given the sensitivity and all or nothing quality of digital data recorded on magnetic tape. It seems fair to say that despite being meant to supersede analogue formats, DATs are far more likely to drop out of recorded sound history in a clinical and abrupt manner. They therefore should be a high priority when decisions are made about which formats in your collection should be migrated to digital files immediately, over and above those that can wait just a little bit longer. The Presto Centre‘s AV Digitisation and Digital Preservation TechWatch Report, published July 2014, introduces readers to what they describe as the ‘bleeding edge’ of AV Digitisation and Archive technology. 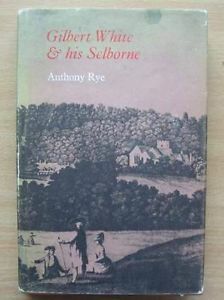 Written in an engaging style, the report is well worth a read. If you don’t have time, however, here are some choice selections from the report which relate to the work we do at Great Bear, and some of the wider topics that have been discussed on the blog. 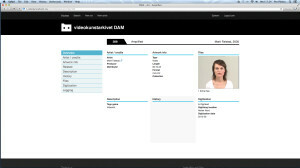 While those hoards of transit vans zipping up and down the motorway between different media providers is probably the exception rather than the rule, we should note that a similar point was raised by Per Platou when he talked about the construction of the Videokuntstarkivet – the Norwegian video art archive. Due to the size of video files in particular, Per found that publishing them online really pushed server capabilities to the absolute maximum. This illustrates that there remains a discrepancy between the rate at which broadcast technologies develop and the economic, technological and ecological resources available to send and receive them. If you are interested in reading further TechWatch reports you can download #1 here, and watch out for #3 that will be written after the International Broadcasting Convention (IBC) which is taking place in September, 2014. Digital Preservation 2014, the annual meeting of the National Digital Information Infrastructure and Preservation Program and the National Digital Stewardship Alliance is currently taking place in Washington, DC in the US. The Library of Congress’s digital preservation blog The Signal is a regular reading stop for us, largely because it contains articles and interviews that impressively meld theory and practice, even if it does not exclusively cover issues relating to magnetic tape. What is particularly interesting, and indeed is a feature of the keynotes for the Digital Preservation 2014 conference, is how the relationship between academic theory—especially relating to aesthetics and art—is an integral part of the conversation of how best to meet the challenge of digital preservation in the US. Keynote addresses from academics like Matthew Kirschenbaum (author of Mechanisms) and Shannon Mattern, sit alongside presentations from large memory institutions and those seeking ways to devise community approaches to digital stewardship. The relationship between digital preservation and aesthetics is also a key concern of Richard Rhinehart and Jon Ippolito’s new book Re-Collection: Art, New Media and Social Memory, which has just been published by MIT Press. This book, if at times deploying rather melodramatic language about the ‘extinction!’ and ‘death!’ of digital culture, gently introduces the reader to the wider field of digital preservation and its many challenges. Re-Collection deals mainly with born-digital archives, but many of the ideas are pertinent for thinking about how to manage digitised collections as well. In particular, the recommendation by the authors that the digital archival object remains variable was particularly striking: ‘the variable media approach encourages creators to define a work in medium- independent terms so that it can be translated into a new medium once its original format is obsolete’ (11). Emphasising the variability of the digital media object as a preservation strategy challenges the established wisdom of museums and other memory institutions, Rhinehart and Ippolito argue. 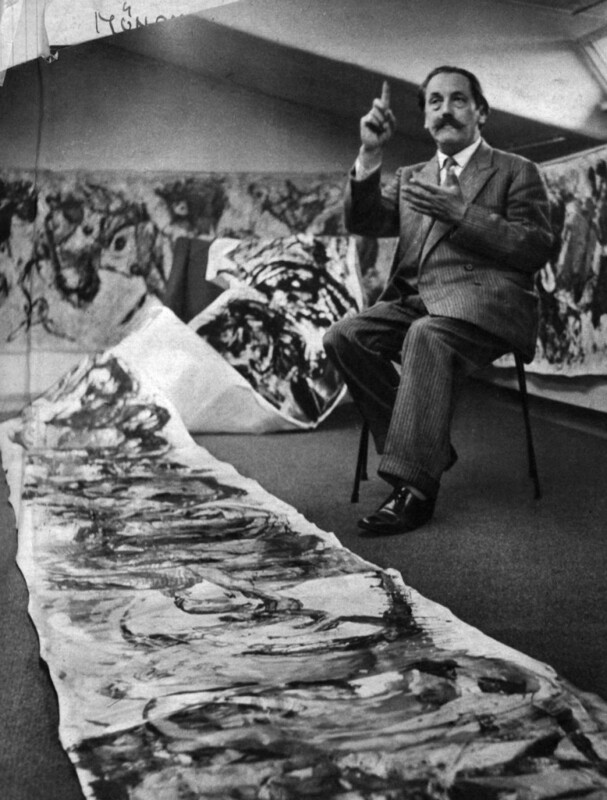 The default position to preserve the art work in its ‘original’ form effectively freezes a once dynamic entity in time and space, potentially rendering the object inoperable because it denies works of art the potential to change when re-performed or re-interpreted. Their message is clear: be variable, adapt or die! 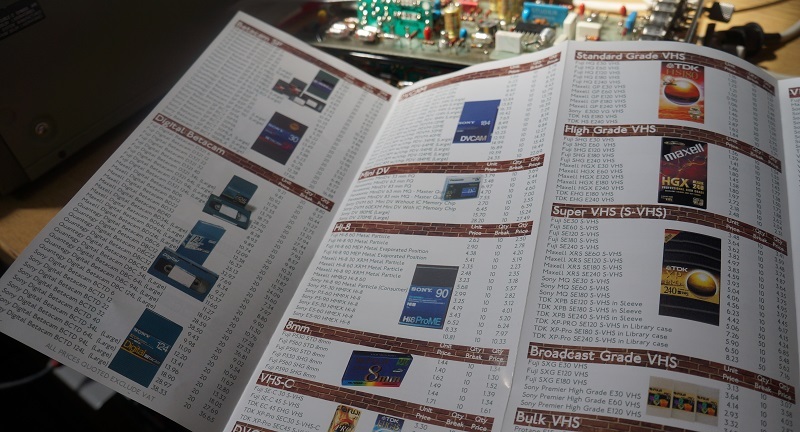 As migrators of tape-based collections, media variability is integral to what we do. Here we tacitly accept the inauthenticity of the digitised archival object, an artefact which has been allowed to change in order to ensure accessibility and cultural survival. While aesthetic and theoretical thinking is influencing how digital information management is practiced in the US, it seems as if the European approach is almost exclusively framed in economic and computational terms. Consider, for example, the recent EU press release about the vision to develop Europe’s ‘knowledge economy‘. The plans to map and implement data standards, create cross-border coordination and an open data incubator are, it would seem, far more likely to ensure interoperable and standardised data sharing systems than any of the directives to preserve cultural heritage in the past fifteen years, a time period characterised by markedly unstable approaches, disruptive innovations and a conspicuous lack of standards (see also the E-Ark project). It may be tempting these days to see the world as one gigantic, increasingly automated archival market, underpinned by the legal imperative to collect all kinds of personal data (see the recent ‘drip’ laws that were recently rushed through the UK parliament). Yet it is also important to remember the varied professional, social and cultural contexts in which data is produced and managed. 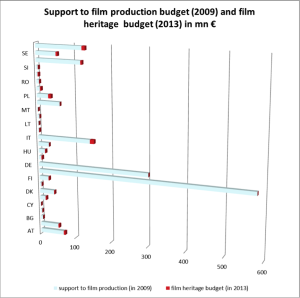 Of course approaches to digital preservation and data management in the US are largely overdetermined by economic directives, and European policies do still speak to the needs of cultural heritage institutions and other public organisations. 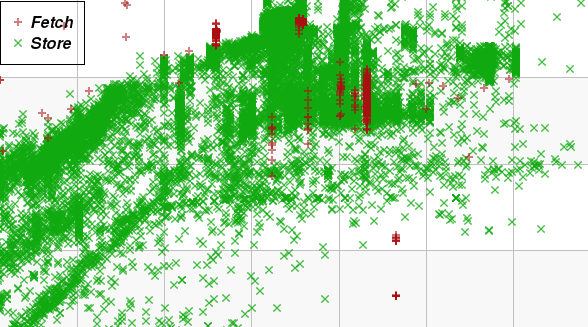 What is interesting, however, is the minimal transnational cross pollination at events such as DigiPres, despite the globally networked condition we all share. This suggests there are subtle divergences between approaches to digital information management now, and how it will be managed in coming years across these (very large) geopolitical locations. Aesthetics or no aesthetics, the market remains imperative. Despite the turn toward open archives and re-usable data, competition is at the heart of the system and is likely to win out above all else. We recently acquired a new Studer open reel tape machine to add to our extensive collection of playback equipment. This Studer is, however, different from the rest, because it originally belonged to BBC Bristol. It therefore bears the hall marks of a machine specifically adapted for broadcast use. The tell tale signs can be found in customised features, such as control faders and switches. These enabled sound levels to be controlled remotely or manually. The presence of peak programme meters (P.P.M. ), buttons that made it easy to see recording speeds (7.5/ 15 inches per second), as well as switches between cues and channels, were also specific to broadcast use. Because of Studer’s emphasis on engineering quality, machines could be adapted according to the specific needs of a recording or broadcast project. In our digitisation work at Great Bear, we have also adapted a Studer machine to clean damaged or shedding tapes prior to transfer. The flexibility of machine enables us to remove fixed guides so vulnerable tape can move safely through the transport. 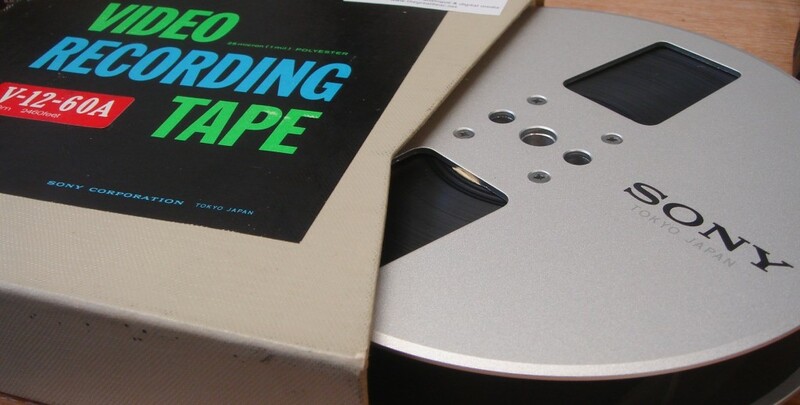 This preservation-based adaption is testimony to the considered design of Studer open reel tape machines, even though it diverges from its intended use. 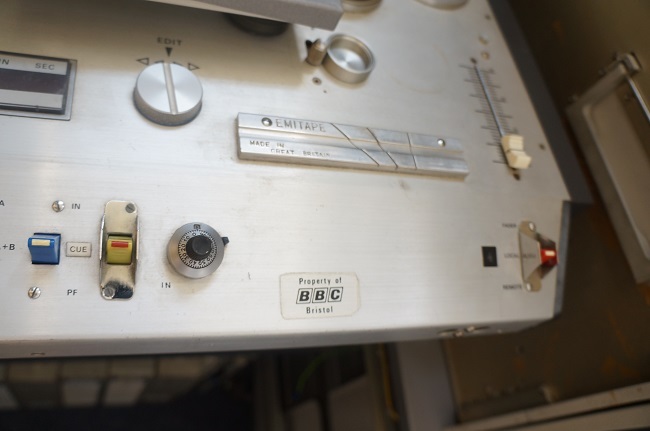 If you want to learn a bit more about the Equipment department at the BBC who would have been responsible for adapting machines, follow this link. 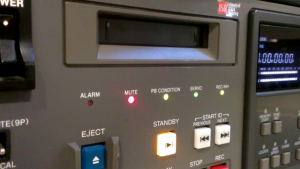 ADAPT, who are researching the history of television production also have an excellent links section of their website, including one to the BBC’s Research and Develop (R&D) archive which houses many key digitised publications relating to the adoption and use of magnetic tape in the broadcast industry. We work with a range of customers at Great Bear, digitising anything from personal collections to the content of institutional archives. Because of this, what customers need from a digitisation service can be very different. A key issue relates to the question of how much we process the digital file, both as part of the transfer and in post-production. In other words, to what extent do we make alterations to the form of the recording when it becomes a digitised artifact. While this may seem like an innocuous problem, the question of whether or not to apply processing, and therefore radically transform the original recording, is a fraught, and for some people, ethical, consideration. We also utilise built in processes that are part of machine’s circuitry, such as drop out compensation and noise reduction. 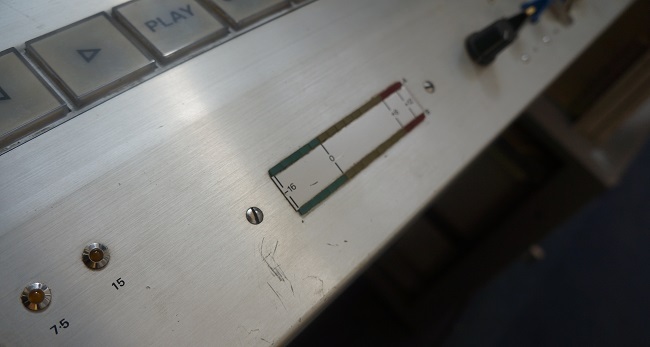 We use these, however, not in order to make the tape ‘look better.’ We do it rather as a standard calibration set up, which is necessary for the successful playback of the tape in a manner appropriate to its original operating environment. After all, video tape machines were designed to be interchangeable. 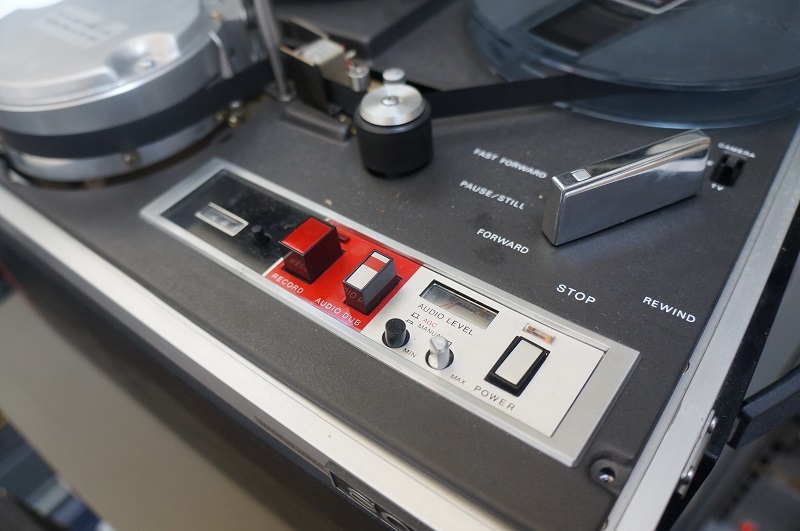 It is likely such stabilising processing would have been regularly used to play back tapes in machines that were different to those they were recorded on. Time-based correction and frame synchronisation are therefore integral to the machine/ playback circuitry, and using such processing tools is central to how we successfully migrate tape-based collections to digital files. Our visual environment has changed dramatically since the days when domestic video tape was first introduced, let alone since the hay day of VHS. The only certainty is that it will continue to change. Once it was acceptable for images to be a bit grainy and low resolution, now only the crisp clarity of a 4K Ultra HD image will do. There is perhaps the assumption that ‘clearer is better’, that being able to watch moving images in minute detail is a marker of progress. Yet should this principle be applied to the kinds of digitisation work we do at Great Bear? There are processors that can transform the questionable analogue image into a bright, high definition, colour enriched digital copy. The teranex processor, for example, ‘includes extremely high quality de-interlacing, up conversion, down conversion, SD and HD cross/standards conversion, automatic cadence detection and removal even with edited content, noise reduction, adjustable scaling and aspect ratio conversion.’ ‘Upgrading’ analogue images in this way does come with certain ethical risks. Talking about ethics in conjunction with video or audio tape might seem a bit melodramatic, but it is at the point of intervention/ non-intervention where the needs of our customers diverge the most. This is not to say that people who do want to process their tapes are unethical – far from it! We understand that for some customers it may be preferable for such processing to occur, or to apply other editing techniques such as noise reduction or amplification, so that audio can be heard with greater clarity. It is important to bear in mind, however, that even if a file is subject to destructive editing there may come a time when the metadata created about the artefact can help to illuminate its context and provenance, and therefore help it maintain its authenticity. The debates regarding digital authenticity and archiving will of course shift as time passes and practices evolve. In the meantime, we will continue to do what we are most skilled at: restoring, repairing and migrating magnetic tape to digital files in a manner that maintains both the integrity of the original operating environment and the recorded signal. This point of view certainly corresponds to our experience at Great Bear. As collectors of a range of domestic and professional video and audio tape playback machines, we are aware of the particular problems posed by machine obsolescence. Replacement parts can be hard to come by, and the engineering expertise needed to fix machines is becoming esoteric wisdom. Tape degradation is of course a problem too. 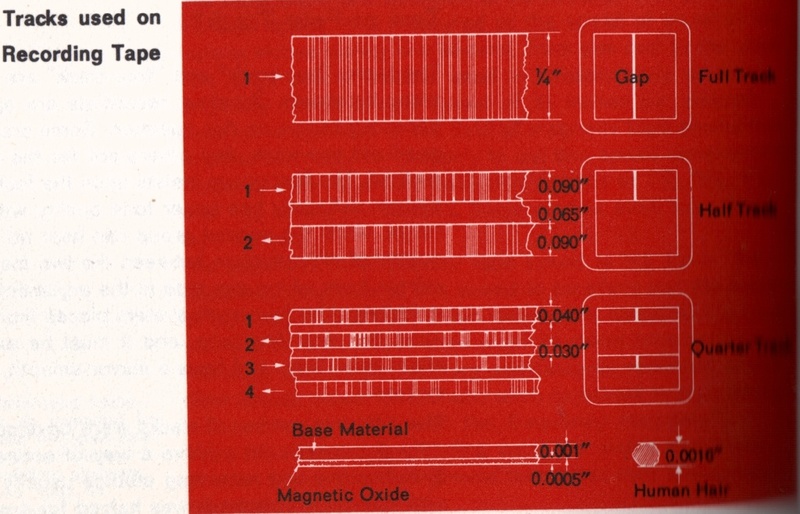 These combined factors influence the shortened horizon of magnetic tape-based media. All may not be lost, however, if we are take heart from a recent article which reported the development of an exciting technology that will enable memory institutions to recover recordings made over 125 years ago on mouldy wax cylinders or acid-leaching lacquer discs. Can such a hands-off approach be applied to magnetic tape based media? Is the 10-20 year window of opportunity described by Tovell above unnecessarily short? After all, it is still possible to playback wax cylinder recordings from the early 20th century which seem to survive well over long periods of time, and magnetic tape is far more durable than is commonly perceived. In a fascinating audio recording made for the Pitt Rivers Museum in Oxford, Nigel Bewley from the British Library describes how he migrated wax cylinder recordings that were made by Evans Pritchard in 1928-1930 and Diamond Jenness in 1911-1912. Although Bewley reveals his frustration in the preparation process, he reveals that once he had established the size of stylus and rotational speed of the cylinder player, the transfer was relatively straightforward. You will note that in contrast with the recovery work made possible by IRENE, the cylinder transfer was made using an appropriate playback mechanism, examples of which can accessed on this amazing section of the British Library’s website (here you can also browse through images and information about disc cutters, magnetic recorders, radios, record players, CD players and accessories such as needle tins and headphones – a bit of a treasure trove for those inclined toward media archaeology). Perhaps the development of the IRENE technology will mean that it will no longer be necessary to use such ‘authentic’ playback mechanisms to recover information stored on obsolete media. This brings us neatly to the question of emulation. If we assume that all the machines that playback magnetic tape become irrevocably obsolete in 10-20 years, what other potential extraction methods may be available? Is it possible that emulation techniques, commonly used in the preservation of born-digital environments, can be applied to recover the recorded information stored on magnetic tape? 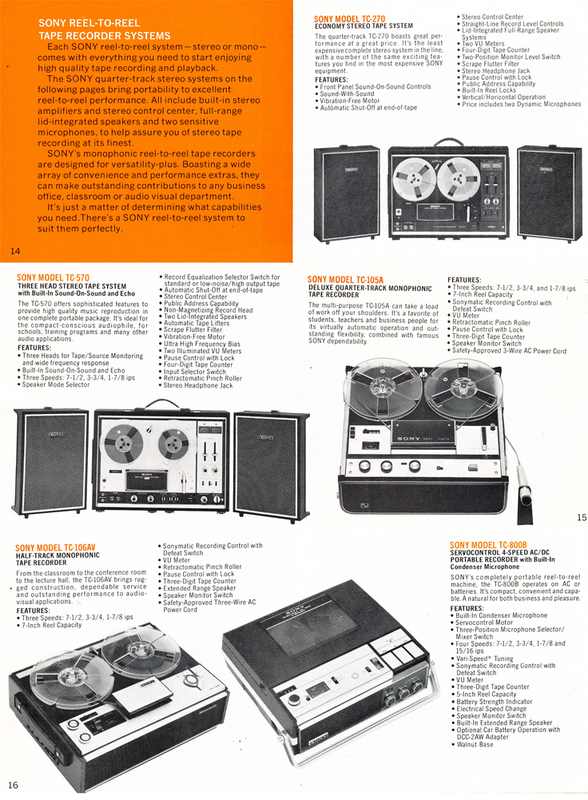 For the sake of speculation, let us imagine we are future archaeologists and consider some of the issues that may arise when seeking to emulate the operating environments of analogue-based tape media. Yet with the emulation of analogue environments, engineering may have to be a practical consideration rather than an archival one. For example, some kind of transport mechanism would presumably have to be emulated through which the tape could be passed through. It would be tricky to lay the tape out flat and take samples of information from its surface, as IRENE’s software does to grooved media, because of the sheer length of tape when it unwound. Without an emulated transport mechanism, recovery would be time consuming and therefore costly, a point that Tovell intimates at the beginning of the article. Furthermore, added time and costs would necessitate even more complex selection and appraisal decisions on behalf of archivists managing in-operative magnetic tape-based collections. Questions about value will become fraught and most probably politically loaded. With an emulated transport mechanism, issues such as tape vulnerability and head clogs, which of course impact on current migration practices, would come into play. On a technical level emulation may be vastly more achievable for audio where the signal is recorded using a longitudinal method and plays back via a relatively simple process. Audio tape is also far less propriety than video tape. On the SONY APR-5003V machine we use in the Great Bear Studio for example, it is possible to play back tapes of different sizes, speeds, brands, and track formations via adjustments of the playback heads. Such versatility would of course need to be replicated in any emulation environment. The technical circuitry for playing back video tape, however, poses significantly more problems. Alongside the helical scan methods, which records images diagonally across the video tape in order to prevent the appearance of visible joints between the signal segments, there are several heads used to read the components of the video signal: the image (video), audio and control (synch) track. 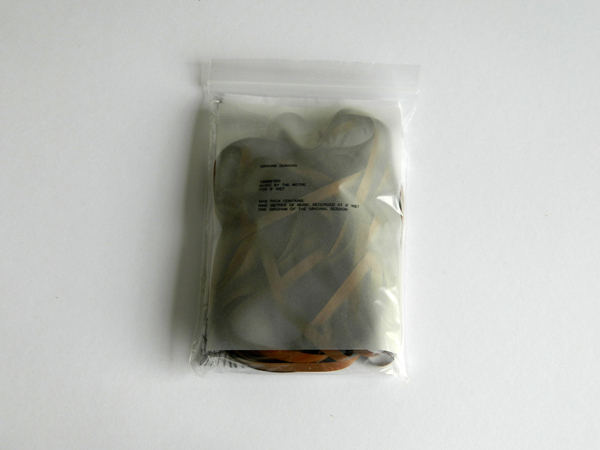 Unlike audio, video tape circuitry is more propriety and therefore far less inter-operable. You can’t play a VHS tape on a U-Matic machine, for example. Numerous mechanical infrastructures would therefore need to be devised which correspond with the relevant operating environments – one size fits all would (presumably) not be possible. 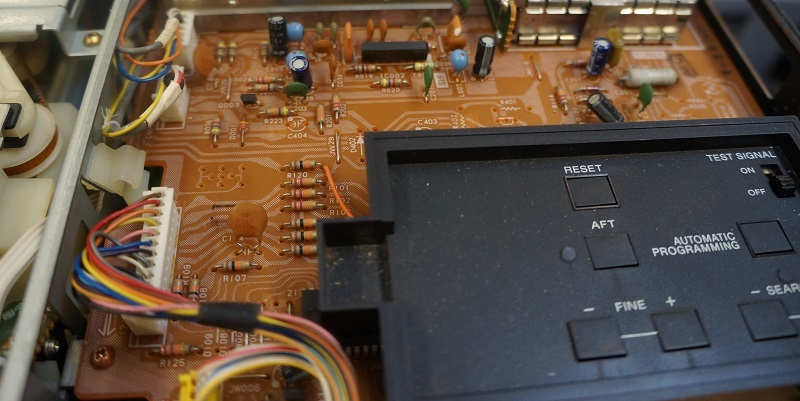 A generic emulated analogue video tape circuit may be created, but this would only capture part of the recorded signal (which, as we have explored elsewhere on the blog, may be all we can hope for in the transmission process). If such systems are to be developed it is surely imperative that action is taken now while hardware is operative and living knowledge can be drawn upon in order to construct emulated environments in the most accurate form possible. 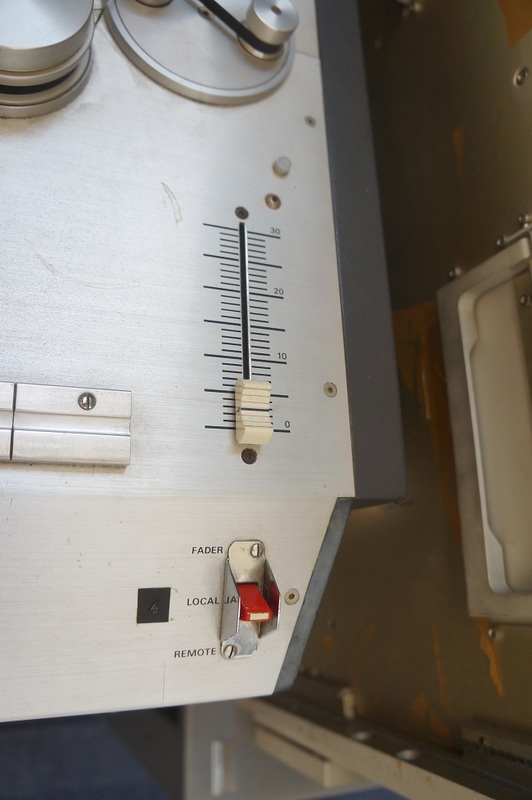 While hope may rest in technology’s infinite capacity to take care of itself in the end, excavating information stored on magnetic tape presents far more significant challenges when compared with recordings on grooved media. There is far more to tape’s analogue (and digital) circuit than a needle oscillating against a grooved inscription on wax, lacquer or vinyl. The latter part of this article has of course been purely speculative. 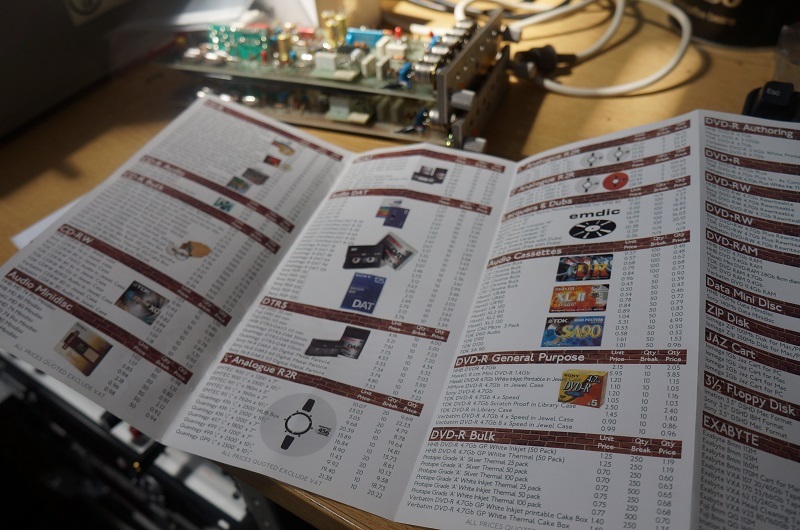 It would be fascinating to learn about projects attempting to emulate the analogue environment in software – please let us know if you are involved in anything in the comments below.